You know how Mom had that great idea to get Harry Potter books for the kids in the hospital. She had another great idea the other day. She wants to get nice costumes and bring them to the hospital for Halloween. I remember the last Halloween when you and I trick or treated through the different departments at Georgetown. You weren't allowed to go out with the other kids so this was a good alternative. We had a good time going to Radiology and Physical Therapy and everywhere else. I don't think you were Batman. I think you were Anakin or some Star Wars character. 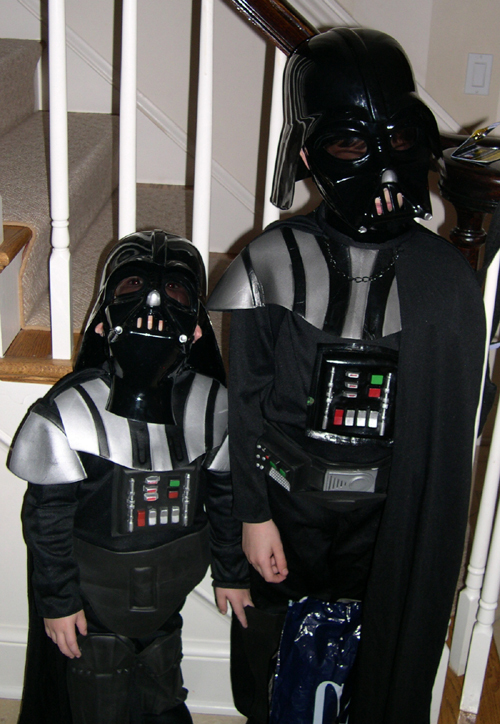 Speaking of Star Wars, Jack and Joe were both Darth Vader for Halloween. 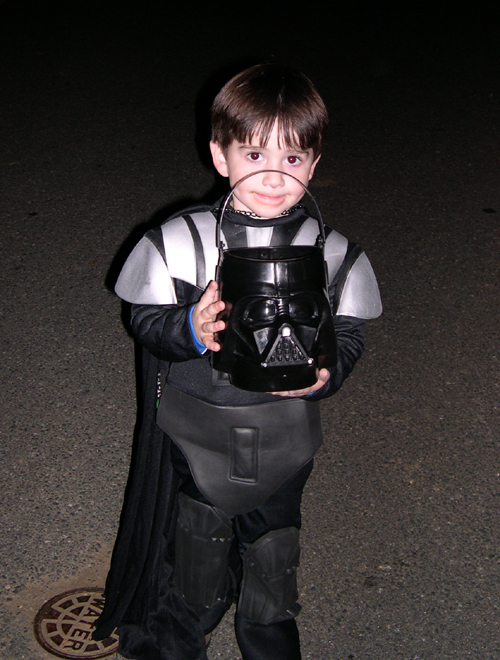 Anakin becomes Darth Vader in the last movie. It was called Revenge of the Sith. You would have liked it a lot. Your brothers went to the dark side. We went out to Cactus Cantina with all your buddies tonight for your birthday. Ari and Rachel were there. Linda and Susan -- and Simon and Alex were there too. This is a song I really like. The Blues Clue's Birthday episode was on this morning. That is a neat coincidence. Remember how we used to sing the birthday song from the show all the time. Have a happy Birthday You-oo! We'll have a great day too-oo! Everybody play, It's Blue's special day. Open up the present and see what's inside. Blue's present was a pet turtle, Turquoise. Joe doesn't watch Blues Clues anymore. We used to watch an episode every night before getting in bed to read. Now, Joe only wants to watch Animal Planet or play a video game. There is a show in NickJr. that I really like called The Backyardegans. Jack and Joe don't watch it. I wish there was someone who'd watch it with me. Now it's time for so-long But we'll sing just one more song Thanks for doing your part! You sure are smart! You know, with me and you and my dog Blue... We can do any THING... that we wanna do! 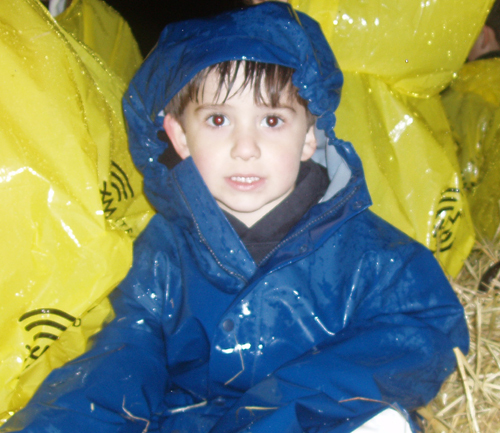 Yesterday we had our hayride fundraiser for the Hope for Henry Foundation. 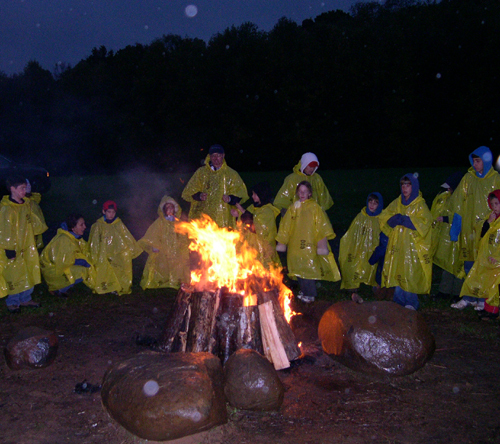 It poured but more than 100 people showed up anyway. A lot of people love you. It is kind of like all of the people who showed up in the rain for your funeral. I called Papa Teddy just now. It is the anniversary of the day that he and Grandma got married. Before I called him I was thinking, "what do I say." When we talked I just said that I was thinking of him and Grandma, and asked him how he is. 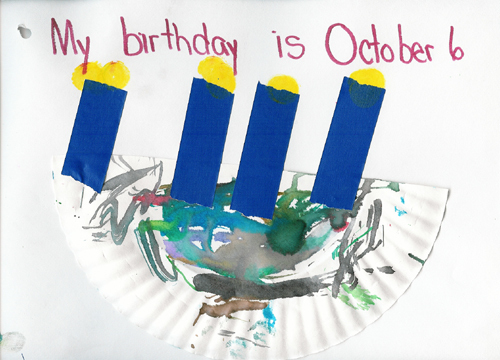 I guess that is what I would want on your birthday next week. Just to know that people are thinking of you. Mom and I are both taking the day off. I want to go to the cemetery. I think it will be cloudy and probably raining. That is fine by me. 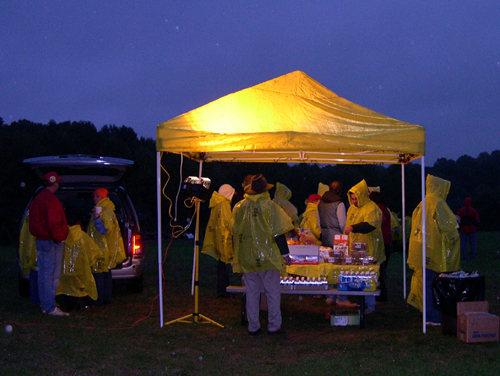 It is supposed to rain this weekend when we have the Hope for Henry Hayride at Butler's Orchard. That isn't so fine. It was so great last year. I am bummed if it is rained out. I am missing you. I love you. I talked to a man the other day who told me about his son who died. He said, "It doesn't get any better, just easier." Hi. I am back. Sorry. They announced the name of the baby panda today. His name is Tai Shan. That means Peaceful Mountain. They wait for one hundred days before they give the baby pandas a name. It made me think how they wait a hundred days after a transplant to let you go home. I guess that is the magic "you are going to live" number. Those are the only "hundred" time things that I know about. Every other time thing is either 30 or 40 something. Tonight is Sukkot. Sukkot is the holiday when we remember how the Jews wandered in the desert for 40 years. 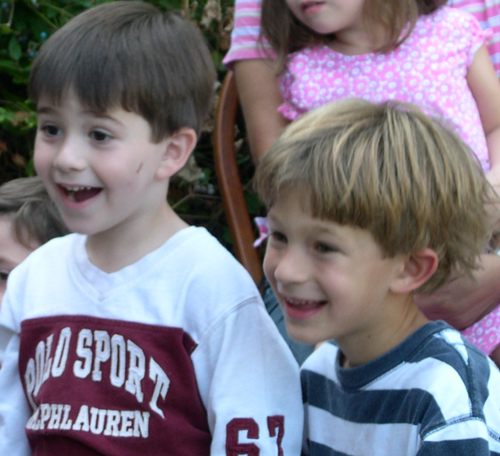 Mom, Jack and Joe are eating outside tonight in the Shoyer's Sukkah. I just got back from a trip so I missed it. I used to help Papa Teddy put up a Sukkah in our backyard. I miss that. I need to do that with Jack and Joe. It is a nice thing to do. It is cool outside and you can look at the full moon through the top. 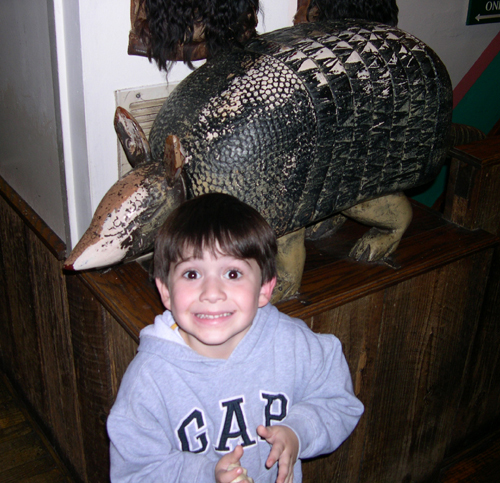 I used to really like hanging gourds on the sides. EUGENE — Beginning her studies at Stanford University, Amy Frohnmayer ponders the usual freshman worries: What should I major in? Will I get along with my roommate? How will I find all my classes? One uncommon question also follows the South Eugene High School graduate: When will I have to put college on hold and head for my transplant? Eighteen-year-old Amy, daughter of University of Oregon President and Medford native Dave Frohnmayer, has Fanconi anemia, a rare genetic disease that killed both her sisters. The illness brings a high risk for cancers and hampers the formation of blood cells, leading to anemia, fatigue, infection and bleeding. A bone marrow transplant doesn’t change the cancer risk, but it can fix the blood problems, stretching life expectancy beyond the usual 20 years. But there’s a catch: This particular transplant works best when patients are fairly healthy, before they develop leukemia or severe infections. It also leads to the death of more than a quarter of patients, making it wise to delay as long as possible. "I actually was going to have a transplant instead of going to school this fall," she said at her home in Eugene, as she prepared to leave for college. But "I’m so healthy now, and starting school, I just wanted to get on with my life. "I’m getting used to the idea that it’s up in the air, and someday I’m going to have to do something ... But that’s life. It’s random and unexpected." For Amy, life is a mix of wonderful possibilities leavened with the certainty of hard times ahead. In one sense, she said, she’s no different from others: A traffic accident could cut short any life on any day. But Fanconi anemia amplifies that, offering keener awareness of life’s joys while forcing early, often public, experience with sickness and death. The Frohnmayer family has dealt with the disease since before Amy’s birth. Her oldest sister, Kirsten, was diagnosed in 1983 at age 10. Her other sister, Katie, also had the illness. Her father dropped out of the governor’s race in 1986 to help care for the girls. Their mother, Lynn, quit her state children’s services job to do the same. The family started a fund to spur research into the illness, which was poorly understood at the time, and launched a highly publicized search for compatible bone marrow donors. They registered thousands of donors, which helped other patients, but found no match for the two girls. 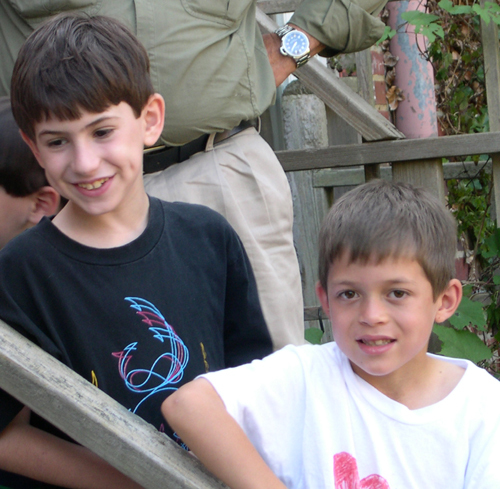 Neither of the Frohnmayers’ sons, who don’t have Fanconi anemia, was a bone marrow match. Before Amy’s birth, the family hoped she could be a compatible donor. She was a perfect match for Katie. But tests just after Amy’s birth showed she had Fanconi anemia. That meant she could not be a donor but would need one, too. Katie Frohnmayer died in 1991 at age 12. Kirsten Frohnmayer died in 1997, two years after a transplant from a mismatched donor, and two years after getting her bachelor’s degree from Stanford. 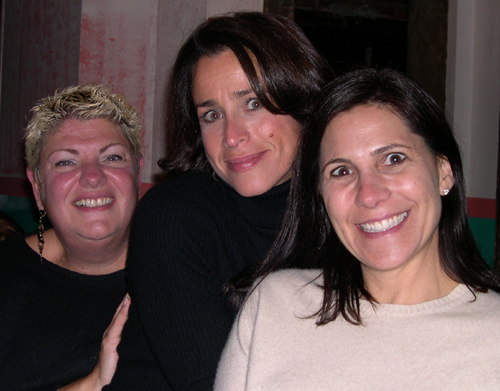 "Having my two sisters die has been very painful," Amy said. "But it’s also given me an appreciation for what I have. It just reinforces that life is so fleeting, and we are lucky to be here and have the people we have in life." Amy is healthier, at her age, than either of her sisters were. She has not yet had a major health problem. When she does, and needs a transplant, the family has identified a potential donor who is a 70 percent match. And the fund, at Lynn Frohnmayer’s urging, sponsored research into a drug that has improved the success of such mismatched bone marrow donations to perhaps 70 percent, more than double the previous success rate. Those odds spurred the Frohnmayers to go to New York to ask a doctor about a transplant this year. The doctor saw Amy’s robust health and busy life, and advised the family to hold off. "He said, ‘Do you really want to do this?’ " her mother recalls. "‘Yes, her chances are 70 percent. But what I want you to hear is, it’s only 70 percent.’ "
So the family is waiting, looking for signs of troubling mutations in Amy’s blood cells. She’ll have blood drawn every six weeks at Stanford and have bone marrow tests in Portland every six months. In the meantime, she’ll continue taking only a small dose of medicine to boost her blood counts. "I have lots of energy. I feel good. I feel healthy," she said. "The bottom line is, I’m extremely lucky." Amy threads her gratitude through life in many ways. Tacked to her bedroom door in Eugene before she packed for school was, "Some Reasons why Life is Beautiful." The two-page list included chocolate milkshakes, towels hot from the dryer and getting mail. The first item: "Falling in love." The last: "Getting out of bed every morning and being grateful for another beautiful day." In high school, Amy packed her schedule with activity. She took courses to earn her International Baccalaureate diploma, took part in the Model United Nations and was an officer in student government. She played on the tennis team and helped found the girls cross-country ski team. The senior class voted her "Most Likely to Succeed." "The whole school knows she has this disease and knows the implications of that," Lynn Frohnmayer said. "But they voted her most likely to succeed. I thought that was fascinating." 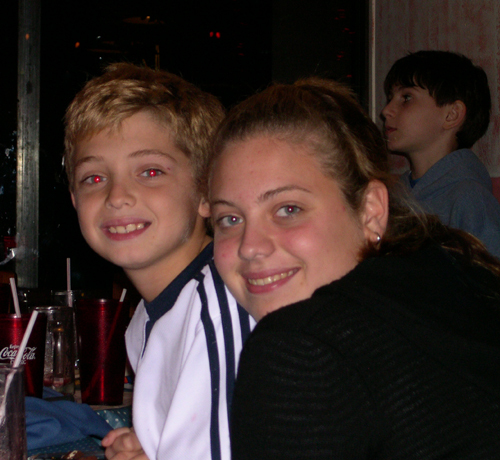 Amy volunteers with Courageous Kids, a group that helps children deal with grief and death. Members started mailing her after her sisters died. But Amy didn’t go to meetings then. She wasn’t sure about public grief, shied away from counseling or support groups and felt she had to be strong for her parents. Grief, she said, is taboo in American culture — a topic she explored in a high school research project. "Isolation is a huge issue throughout the grieving process. You feel alone," she said. "People are extremely afraid to talk about death." Amy is working to change that. She makes a point of saying her sisters "died," avoiding euphemisms like "passed away" or "lost." 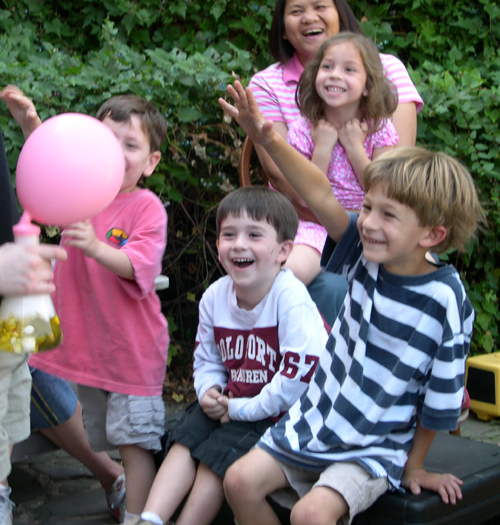 She works with a Courageous Kids theater group, showing how grief can be healthy. Two summers ago, she was a Courageous Kids Camp counselor for four girls whose fathers had died. She said she may want to work with grieving children after college, perhaps becoming a social worker like her mother. It’s a path Lynn Frohnmayer can picture. "Amy is one of the most sensitive and caring and genuinely, deeply kind and compassionate youngsters I have ever known," her mother said. "Maybe that compassion, in part, grows out of what she had to experience and endure, but there’s more than that. She got this dreadful FA gene. But she got a gene for compassion, too." Social work will have lots of competition at school. Amy has a long list of competing interests: psychology, poetry, literature, Spanish and international relations. She wants to study abroad in a Spanish-speaking country. She is excited about the diverse student body at Stanford — which includes her brother John, a junior there. Picking Stanford, she adds, is no criticism of her father’s college: "I didn’t consider Oregon, but not because I don’t think it’s a great school. I do. But for me, part of the college experience is about getting out and being away." But even as she leaves, Amy expects to find her way back to Oregon. She’s already considering what she’ll miss: grabbing a plate of pad Thai at Eugene’s Saturday Market, hanging out with friends on 13th Street, hiking Mount Pisgah, getting frozen yogurt with her mom at a shop near their home. Her parents, too, will have plenty to miss. For the first time since Kirsten’s birth in 1973, there will be no kids living at home. "I’m not looking forward to this at all," Lynn Frohnmayer said. "The bottom line is, she is my dear friend. She is a treasured companion. I love spending time with Amy. I’m going to have a bit of a tough adjustment." I think he had a lot of fun. He really loves Joshua. 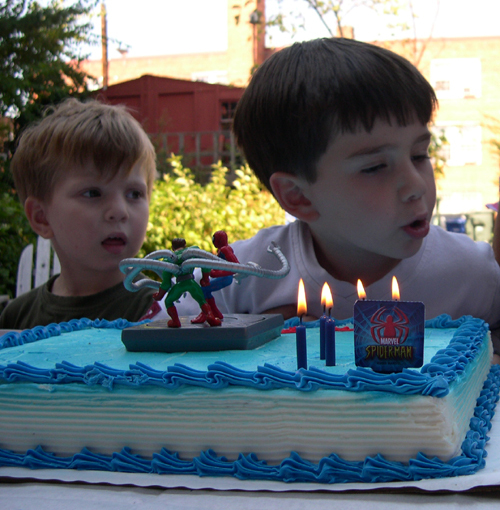 Joe had a Spiderman cake. He likes Spiderman the way you liked Batman.